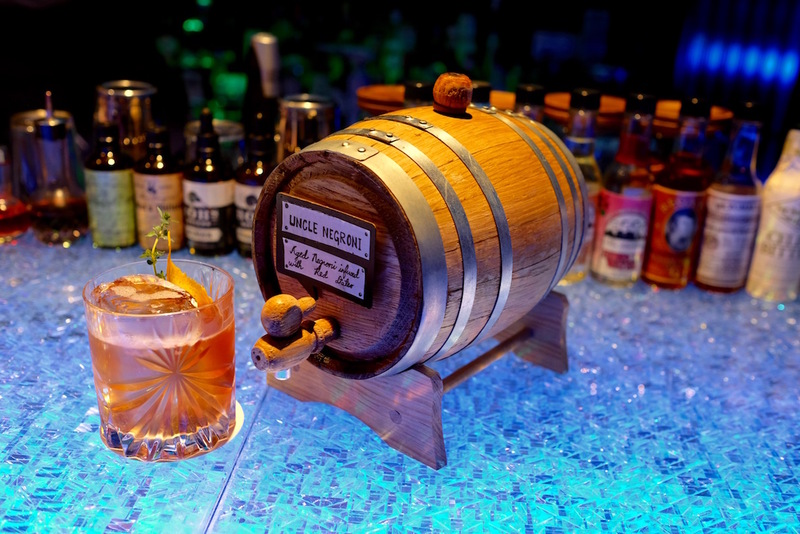 Singapore Cocktail Week first emerged in Singapore’s event landscape as an eight-day long showcase of the country’s burgeoning cocktail bar scene in 2015, and since then has become the signature event of the industry. But Singapore Cocktail Festival, which it is now known, will take place from 16 to 21 March this year and looks set to take the event to heights yet unseen. Singapore Cocktail Festival organisers Food News Public Relations and award-winning events agency The Events Artery has finally announced more details for this year’s event that will take place in March. The biggest news is that while the Week has shrunk from eight days to six, it now includes a festival village component that will bring multiple cocktail bars to a single location. The Singapore Cocktail Festival 2017 (#SGCF2017) Festival Village will take place at 99 Beach Road on 16 and 17 March, and will showcase 10 different cocktail and mocktail rooms within the former police station built in the 1930s. Activities include an “Asia Bar Battle”, where nine bartending teams representing countries such as Hong Kong, Thailand, Philippines and Singapore are challenged to create a cocktail experience that best represents their homeland. Then there’s “Singapore’s Next Top Cocktail”, a search for a new cocktail that can rival the Singapore Sling in representing the country. The search for this new cocktail has opened for submission from bartenders, with the final four shortlisted cocktails showcased at the Festival Village for voting by the public to select the ultimate winner. For spirits fans, the Festival Village will have a Tasting Room offering handcrafted and small-batch spirits; gourmands will be pleased to find an entire food street presenting gourmet fare by restaurants such as The Disgruntled Brasserie, Ninja Bowl, Ninja Cut and IZY Dining and Bar. Best of all, entry to the Festival Village is free, and all cocktails are capped at just $12 nett. For those who can’t make it to the Festival Village – and there’s really no reason not to – Singapore Cocktail Festival 2017 continues to build on an immersive week, with over 40 participating bars many of which are ranked on Asia’s 50 Best Bars list. From 16 to 21 March 2017, revellers will enjoy great discounts and promotions on cocktails, pairing menus and more at participating bars and restaurants across the island. Fans of gin, for example, can enjoy a series of four G&Tea cocktails ($14++) prepared with tea-infused artisanal gins at Cin Cin. Those who prefer Asian flavours can explore the offerings at Mitzo Restaurant & Bar, such as the recently introduced Uncle Negroni (above) at a special price of $14++, or Our “Kopi” Cocktail ($14++) at Nutmeg & Clove made with Cognac, coffee beans infused ruby port, egg yolk and simple syrup. Activities during the week include cocktail bar tours, workshops and masterclasses that will be available for booking at the Singapore Cocktail Festival website from 1 February 2017. As with previous years the Week will be attended by guest bartenders and brand ambassadors from around the world – this year we can expect representatives from ABV in Manila, Alice in Seoul, Bar Benfiddich in Tokyo, Omakase + Appreciate in Kuala Lumpur, Q&A in Bangkok, The Pontiac in Hong Kong, and Woo Taipei in Taipei. Then there’s also Alex Kratena, former head bartender of Artesian in London, Matt Whiley of Peg + Patriot in London, and Naren Young of Dante in New York, making guest appearances across events during the Week. 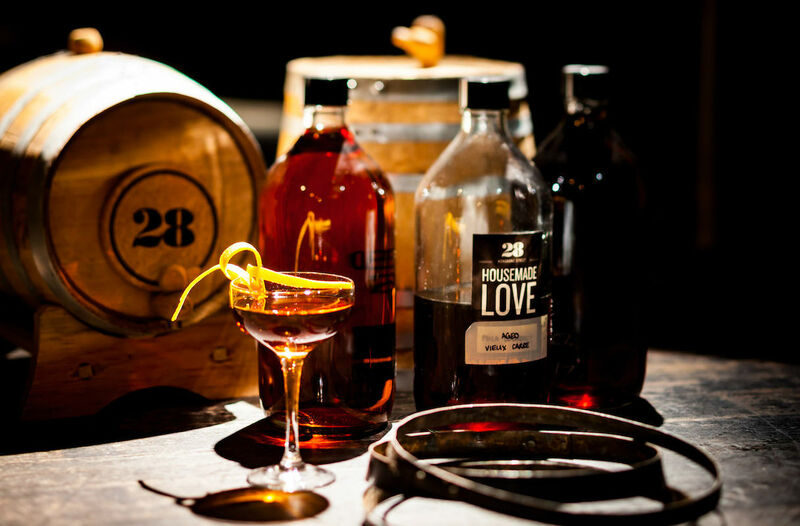 “This year is a particularly exciting year for the local cocktail scene. With Singapore clinching top spots at the Asia’s 50 Best Bars awards in 2016, we are excited to share what our little red dot has to offer,” says Wai Mayleng, Festival Director and co-founder of Singapore Cocktail Festival. “Our aim is to position Singapore as a leading cocktail city, and Singapore Cocktail Festival offers the perfect opportunity to showcase the level of craft and innovation of the bartending community here,” she adds.